A few of us were invited to visit the restaurant for a tasting session of their signature items. 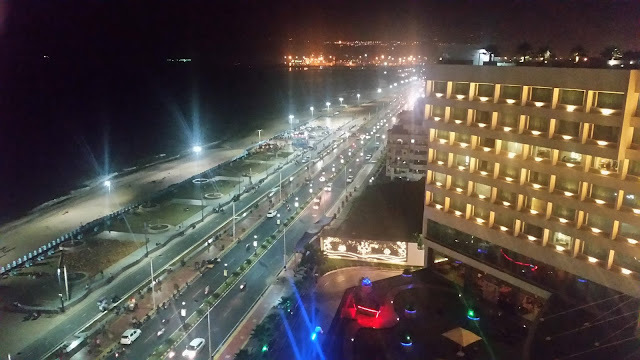 The main restaurant is in the first floor of a hotel, and a private room in the ground floor also has a separate 16 seater facility. To start with, a wide range of veg and non-veg starters were served to us. 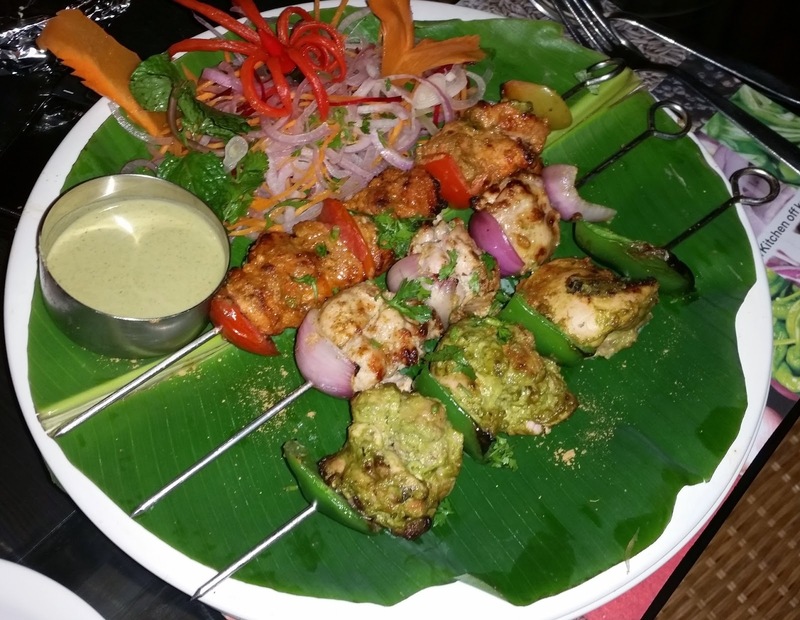 Though generally most of them were very good, a few that especially caught our fancy were Gongura Fish Kabab and Tiranga Kabab (three kababs in our national flag colors lined up on skewers). 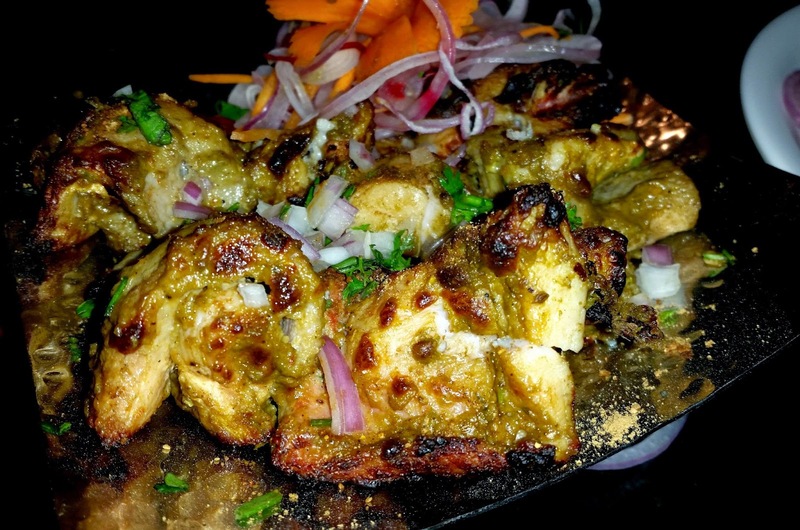 The variation of taste of the three colored kababs indeed made it a special dish. 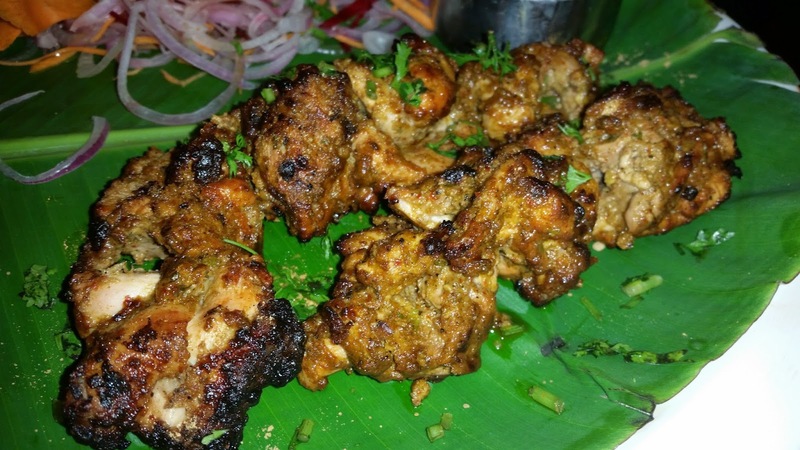 They also have a kabab aptly named Telugu Kabab which was spicy enough to suit the local palate. 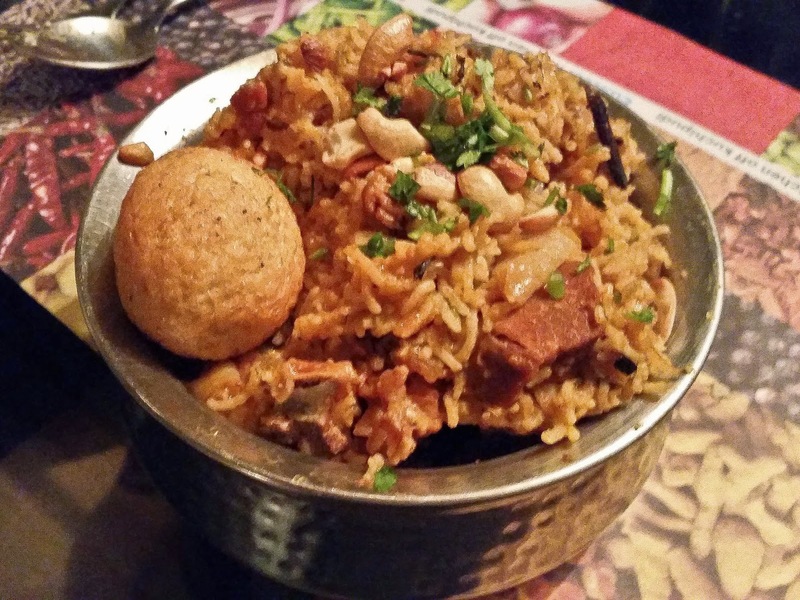 Another starter is Bangla Kodi – which is essentially fried chicken in potato jackets. 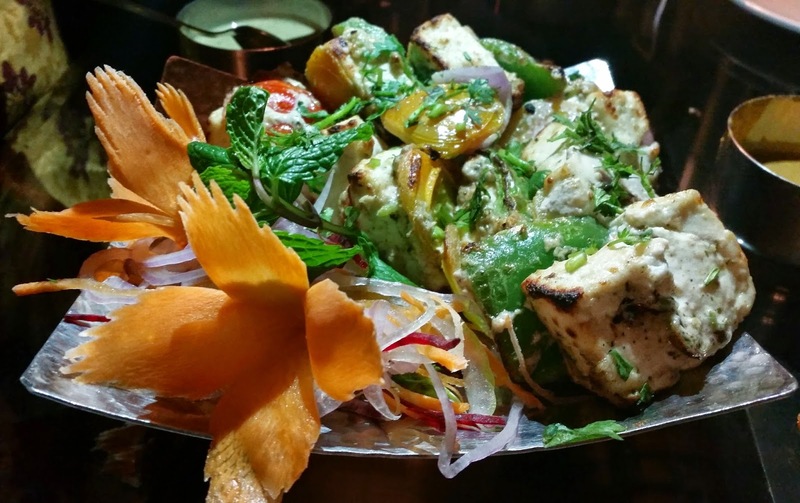 Subramanya Express (an assortment of spicy fried vegetables) and the Melting Paneer Kabab were the vegetarian delights. Aar Akulu, a spring roll like starter with a filling of six different leafy vegetables was also a great concept. 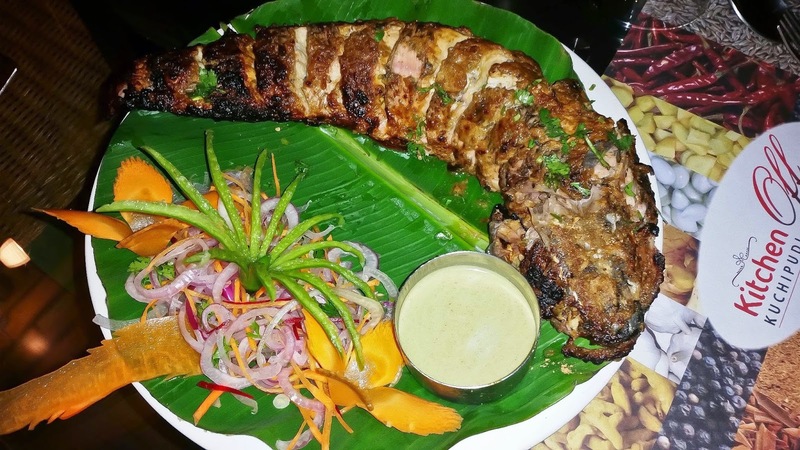 The Tandoori Korameenu was a full murrel fish presented beautifully on a plate. The Kodi Kheema Garelu (Mutton Mince Medu Vadas) was also an unique dish. 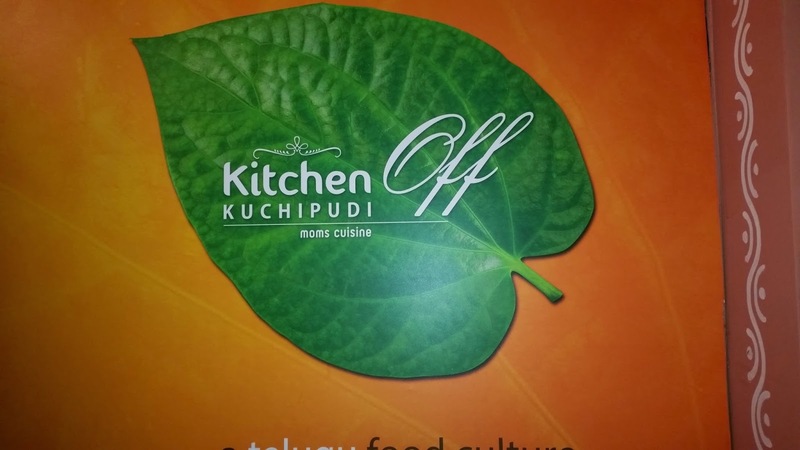 Next were a set of rice based items which Kitchen Off Kuchipudi has already become famous for. 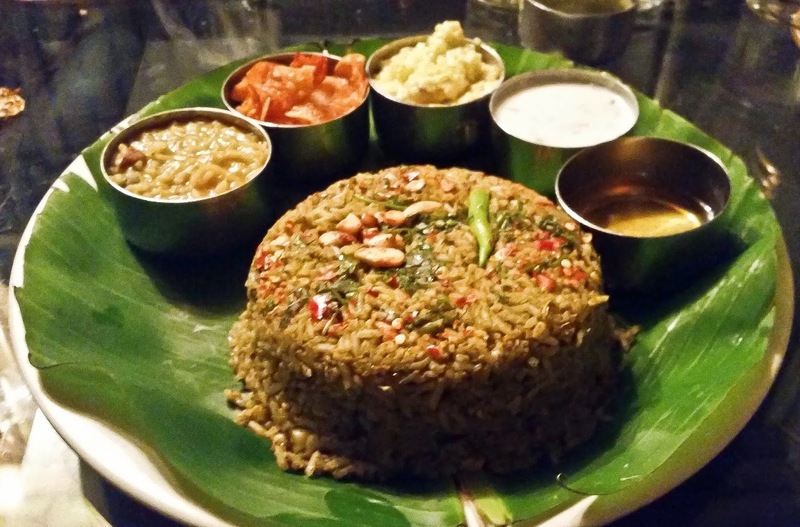 My favorites were the Pedamma Mamsam Pulao, Mastan Keema Annam and the Hara Pudina Keema Pulao. 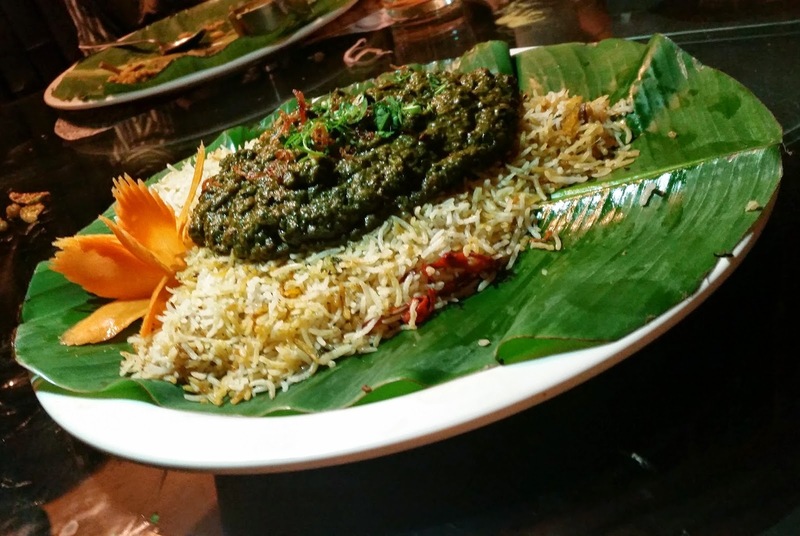 Among the vegetarian dishes the 3G (Gundama Gari Gongura) Annam is a complete meal by itself. It is served with chips, ghee, curd and pappu charu as sides. We wanted to taste some curries. Simhapuri Kodi Koora (a curry prepared with chicken kababs) went well with the naans and rotis. The meal ended with some kulfies and junnus. Junnu is a Telugu dessert prepared from the milk of a cow which has given birth the previous day. Visit the place especially for the wide range of starters and rice based items. I am sure their constant experimentation will throw up lots of new recipes in the near future.